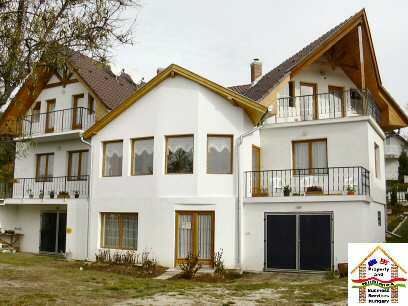 Newly built 460 sqm mansion on three floors, with two garages in superb condition, 1000m from Lake Balaton on bus route. 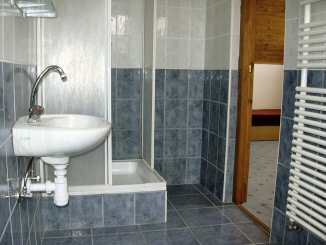 Main building used as Bed & Breakfast: Six 30 sqm Double Bedrooms each with en-suite bathroom. Balconies with lake views, Breakfast Room, Reception. Large Laundry. Community Kitchen. Natural wood doors, windows and ceilings, 2 TV Dishes - TV Connected in every bedroom. 3 additional bedrooms and bathrooms, Main Kitchen, 2 Garages, Large Workroom (could be additional guest accommodation), 4 Balconies, Lounge. 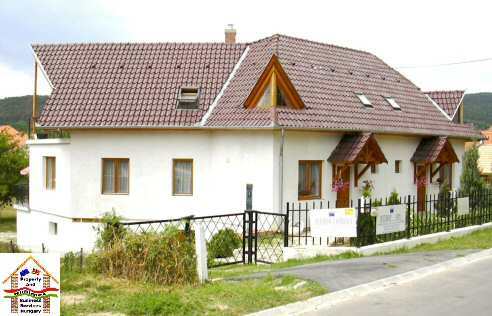 Situated in scenic area near Nature Reserve and only 1000 m from Lake Balaton. 8 km from Keszthely and Hévíz (Thermal Spa town). 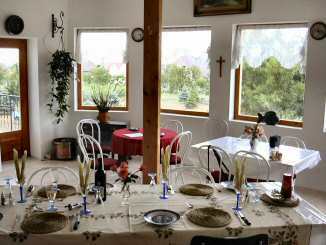 Tennis/Fishing, Watersports, Shops and Restaurants all in easy walking distance. 460qm Nutzfläche, besteht aus Keller, Erd und Obergeschoß mit Balkonen. Allgemein: Alles mit guter Qualität Teppich und Fliesen, viel Natur Holz, Türen, Fenster und Holzdecken, TV Anschlüße mit 2 S/Dishes. In Ruhiger Gegend am Naturschutzgebiet, Plattensee. 8 km-Keszthely und 15 km-Hévíz Thermallbad. Tennis/Angeln, Wassersport, Laden und Restaurants. 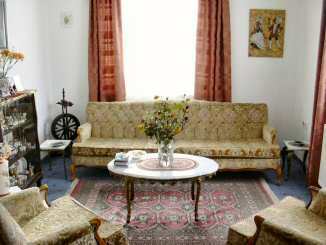 Contact: Hunimex, Nagykanizsa, Hungary - Tel: 0036-30-9896944 - Fax: 0036-93-310283.